In the name of the Friends of Europe Nagycenk Association it is my pleasure to invite at least 15 countries to celebrate together our 15th Anniversary of EU Membership in Nagycenk on from 9th to 12th May 2019. The countries which entered to the EU also in 2004 together with Hungary :Cyprus, Czech Republic, Estonia, Latvia, Lithuania, Malta, Poland, Slovakia, Slovenia and our neighbour countries: Austria, Croatia, Romania are more than welcome to join us. We count on the Members of the Presidium also, so Netherlands, Ireland, France, Germany and Sweden, please be our guests and of course we will be happy for every other country as well. We kindly ask you to send 4 participants (2 youngsters (in the age between 18-30) and 2 adults). We won´t be able to support your travel costs but except this you won´t have any other expenses. 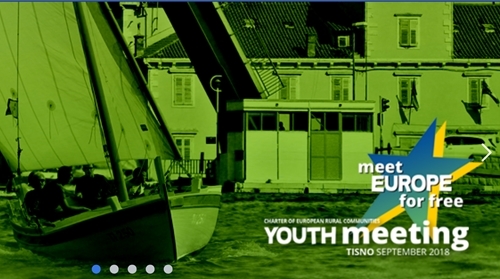 For this Project we are going to make a EACEA -Town Twinning application. EUphoria – 15 years together in the EU – Common History, Common Values, Common Heritage, Common Future?! Please support us and be our partner in the project. We will need some information from you, – please click on the Partner Information here and you will find an Excel, please send it back to me as soon as possible. In case of unsuccessful application, we will try to organise the event with our own resources. See you somewhere in Europe. In case of any question, please feel free to contact me.